DO cool the burn with water. DO NOT use butter or grease. According to the WHO, non-fatal burns that result in hospitalization are the leading cause of morbidity, disfigurement and disability. For this reason, it is of the utmost importance that you seek medical attention first, and then the advice of an attorney, should you suffer from a burn or fire-related injury. There are three types or degrees of burns, which are classified based on severity. First-degree burns are dry with no blisters and will be pink. Second-degree burns are moist, may ooze and are splotchy white, red or pink. Third-degree burns are dry and leathery and are brown or charred. In addition to the medical risks involved, fire and burn injury cases can be incredibly complex. Please remember that many property owners, including those who own hotels and apartment complexes, have a legal duty to provide certain fire protection measures. For this reason, they can be responsible for injuries that occur as a result of failure to provide these required protections. Depending on the type of fire, how it grows, and how long it takes to burn, there may be claims involving failure to provide warning. If you or a loved one has been affected by a fire, it is important to consult with an attorney quickly due to the complicated nature of these cases. 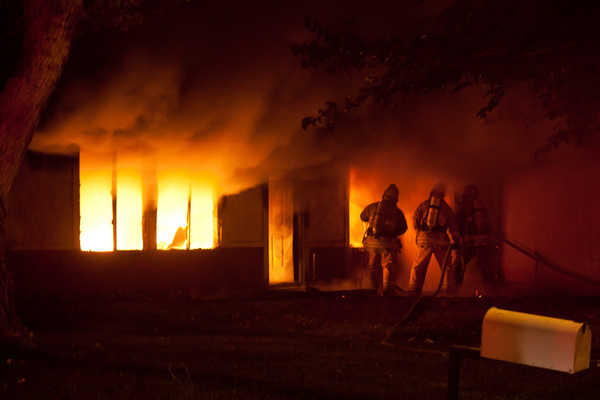 Securing evidence in a fire-related case is crucial and time sensitive. Each case includes many potential legal theories to be evaluated and considered. Our attorneys are highly skilled and are familiar with the latest fire science technologies, including computer fire modeling and forensic toxicological analysis. Hollis Wright is currently reviewing and representing clients who were injured or killed in fire-related incidents. Our attorneys recently successfully resolved a wrongful death case involving an apartment fire. Should you need representation due to damage or injury caused by a fire, we can help with your claim or case. Call us at 205.324.3600 or 1.844.LAW.TALK if you have a fire-related, or any personal injury claim you would like us to review.